Discussion in 'Apps (PC)' started by InsaneNutter, Aug 2, 2011. 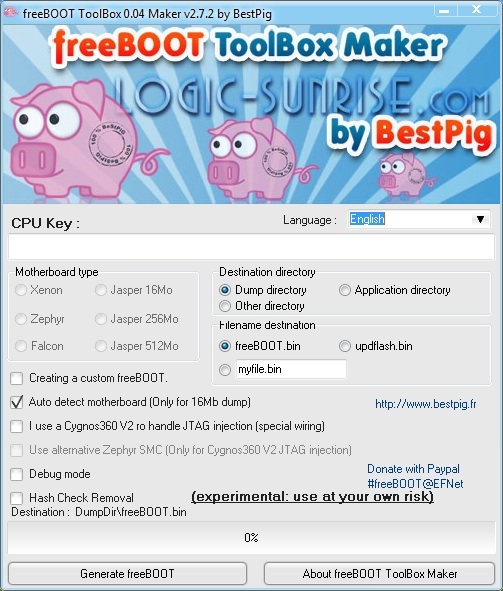 BestPig released a new version of freeBOOT ToolBox - a tool that allows to create and customize a freeBOOT image based on an original or XBR/freeBOOT dump. Yup totally agree, this is always the last program released to build the nand, however its tested and appears to give the best results. Others such as EasyFreeBoot just get rushed out with little testing.